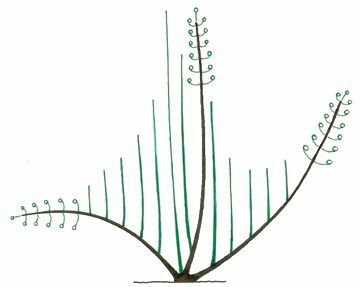 Basitonic is the term meaning the opposite of acrotonic.Basitonic describes the propensity of a plant to favour the growth of buds at its base, rather than the growth of buds at its extremities. The stump and the beginning of the branches will thus produce the most vigorous shoots, creating a bushy structure without a main trunk. Shrubs of the genus Spiraea, for example, are typically basitonic.